ETHDenver is the first ETHGlobal event to utilize blockchain tech as part of the event application process. 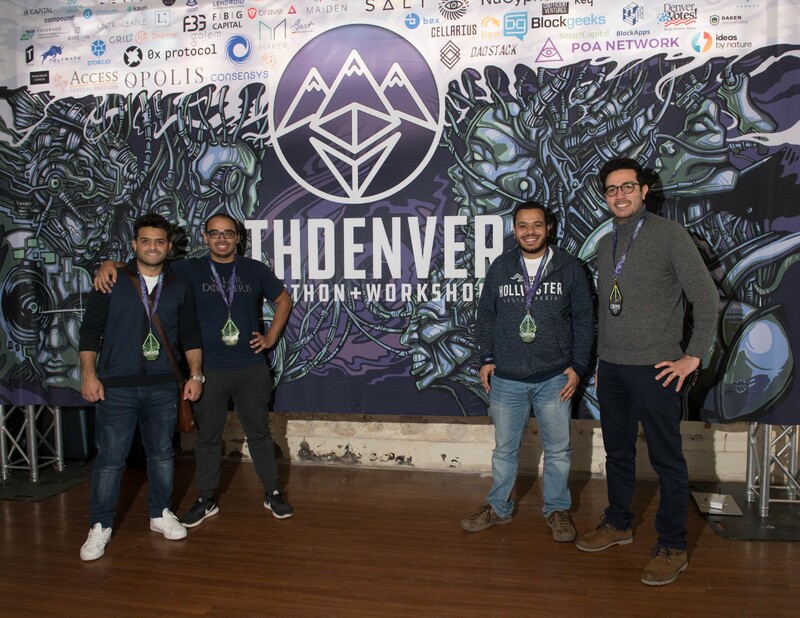 Detailed in a technical explanation here by Taiga Market’s Joao Aguiam, the ETHDenver 2019 application mechanism uses a two-step process. The first of these involves uPort, a ConsenSys spoke project focussed on sovereign identity. Users create their decentralized identity with uPort and then use a QR code to sign into ETHDenver’s Taiga Market ticketing platform. The second part involves the user “staking” their application for priority review by depositing $20 in ETH. This mechanism involves Firebase, Zeppelin, MetaMask, and a smart contract. Users are refunded their $20 in ETH if they attend the event. Joseph Lubin at last year’s ETHDenver. ETHDenver and local blockchain event organizers have partnered to create a series of keystone events along the Front Range for BUIDL Week Colorado February 11–14. These events will feature luminaries, special guests, networking opportunities, and team building icebreakers to help you find a team/add team members, engage with the community and/or learn about decentralized technology. 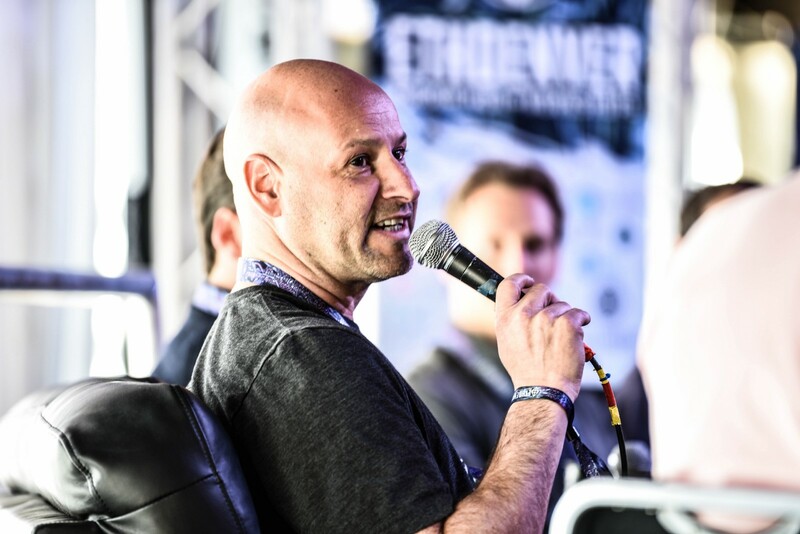 ETHDenver is proud to be hosting one of these events, the Trust Machine screening and fireside chat with Joseph Lubin on February 13 with Block Party. Block Party will allow all ticketing for the film to be done with the blockchain- get yours here or on their app. Please see our full keystone event schedule on our website. Through the supergroup powers of MakerDAO, Austin Griffith, POA Network, Gitcoin, Wyre, Solidcoin, Quantstamp and Status, ETHDenver attendees will have the ability to trial a new crypto economy in the palm of their hand. There are three main pieces to the buffiDai ecosystem: a solid coin, the buffiDai local coin, and a burner wallet. buffiDai will essentially function as its own local coin for ETHDenver, and it is what attendees will use to complete transactions with merchants in the food truck marketplace, to play games, and to make other purchases. buffiDai is an ERC-20 token unique to ETHDenver, though the technology behind it could be replicated for other events where organizers want to create an economic ecosystem with a constrained utility token. Each ETHDenver attendee will receive a physical solid coin with a unique QR code printed on the back of it. Once an attendee scans the QR code on their solid coin with their mobile device, they will be directed to their own burner wallet via their web browser. In their burner wallet, attendees can view their personal stash of buffiDai provided by ETHDenver. Since accessing a burner wallet is done through an attendee’s mobile web browser, mobile apps or browser extensions are not required, so attendees can spend their buffiDai within seconds of creating their burner wallet. This allows for fast onboarding and immediate access to ecosystem spending opportunities. In place of a normal POS system to accept payment from attendees, vendors will have their own burner wallets setup at ETHDenver and will present their own QR codes to attendees for scanning. When an attendee scans the vendor’s QR code(s), their buffiDai will then be transferred from the attendee’s burner wallet to the vendor’s. This trustless and seamless transaction takes place within seconds and allows for all ecosystem participants to utilize buffiDai as the chosen local currency for ETHDenver. To learn more about the ETHDenver buffiDai ecosystem, check out these recent posts by MakerDAO, POA Network, and Austin Griffith. Throughout the BUIDLATHON weekend, attendees will be able to play an event-wide scavenger hunt game on the blockchain. After downloading a Status wallet, attendees will proceed to engage with a number of different community partners and shared spaces throughout the venue while earning Gitcoin Kudos at each stop. The Kudos are non-fungible tokens (NFTs) which will be stored in attendees’ Status wallets and each one features a special Bufficorn artwork. To access Kudos from the Status wallet, attendees simply need to go to their wallet on Status mobile, click the ellipsis (manage assets), and then scroll down and “Add KudosToken.” Users will be able to verify their Kudos by going to Gitcoin’s custom ETHDenver dashboard to see which ones they have yet to collect. Each earned Kudos will also be accompanied with a real-world sticker representation to be placed on an attendee’s water bottle. Once attendees have collected all of the available Kudos and stickers in this gamified ecosystem, they will earn a KeepKey and their very own customized wooden NFT placard. The Apprentio workshop will be held February 16th and 17th during the ETHDenver BUIDLATHON. It will be a hands-on introduction to blockchain for all age groups, but content will be focused for youth between the ages of 13–17. Bounties Network will be providing Easter eggs where workshop participants will get to discover useful information interactively and be rewarded in cryptocurrency. There are a lot of other fun learning sessions planned which you can learn more about at this link. Part of the 2018 ETHDenver Maker Space. Photo per Richard Beer. Through the collaboration of Truebit and the MIT Media Lab, the ETHDenver Makerspace enables people who are interested in blurring the lines between blockchain technology and physical art a place to buidl, hack, and create.The space will be available for any interested attendees to participate in hands-on workshops around the concepts of Autonomous Generative Art, and the creation of ArtDAO’s using Truebit’s technology. The Maker Space will also incorporate a funky hardware workshop to connect Truebit, and any other blockchain data, to Arduinos and Raspberry Pis to visualize the activity on the network in the form of colored LED lights. 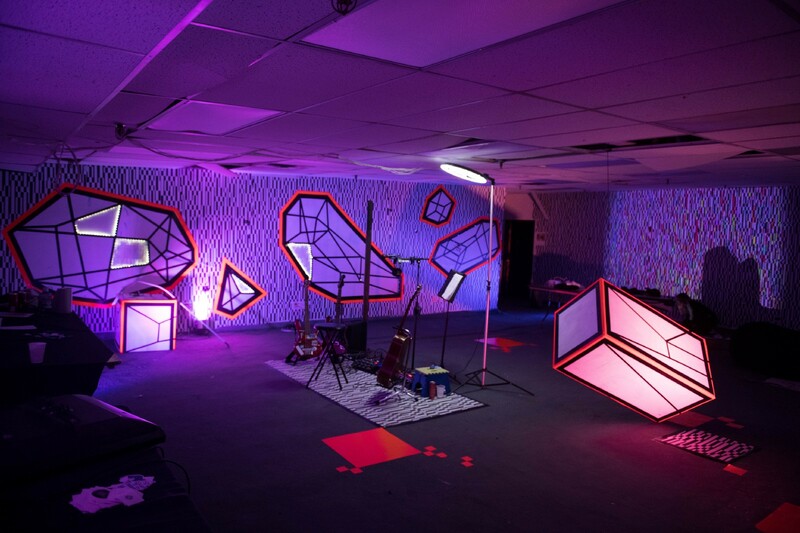 The #ArtProject decentralized community will also feature musical performances by Brady McKenna, a Bufficorn Crypto-Art Exhibit by SuperRare, and sculptural and crafty activities inspired in geometry and math. Get the full details on the Maker Space here. ETHDenver attendees are encouraged to stop by the weekend’s auction with Charity Stars, where a combination of art and experiences will be for sale including 3D paintings, artistic interpretations of the blockchain, and even meals with ETHDenver luminaries. The proceeds earned from the auction will be split 50/50 with the artists involved and Apprentio, a non-profit focused on bringing diversity to the blockchain through educational inclusion. The Apprentio team is hoping to raise funds to provide an 18-month runway for a program focused youth about web3 product management, cryptoeconomics, and entrepreneurship in a gamified fashion. Apprentio is also hosting a workshop at ETHDenver for Denver youth and anyone new to blockchain which you can learn more about here. Our full auction announcement will be released soon and this post will be updated at that time. Portis has created a purchasing system for ETHDenver which uses non-fungible tokens as “receipts” for purchases. Attendees will be able to buy products from the swag store using Portis’ system and can pay with credit card, ETH, DAI, or BTC. Some of the rare swag for sale will include sublimated t-shirts, embroidered bean bags, and even special edition signed copies of Andreas M. Antonopoulos’ Mastering Ethereum. All sales will be used to help keep ETHDenver free for all attendees. Some of ETHDenver’s 2018 attendees. Thanks to Kauri, a decentralized content aggregation service and ConsenSys spoke, ETHDenver attendees will be able to submit their ETHDenver projects for judging on the blockchain. Kauri’s decentralized content aggregation service will also make an entire knowledge base available for all ETHDenver attendees to access during the BUIDLATHON. Learn how to use Kauri’s platform here. ETHDenver winners will be receiving bounties and prizes in cryptocurrency along with Kudos/NFTs. We’re looking forward to seeing you February 11–14 for #BUIDLWeek and February 15–17 for the BUIDLATHON Bufficorns! For more information on ETHDenver 2019, visit our website at https://www.ethdenver.com/.